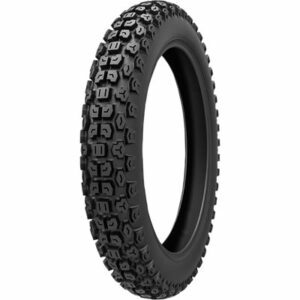 The Kenda K270 is a great dual sport tire especially at its price $60. You see a lot of riders on KLR-650’s and DR-Z 400’s using the Kenda 270 because of the long wear life, price, and how they handle on the road. If you’re interested in trying out a set make sure you check out others reviews [HERE] and also make sure you get the cheapest price on a Kenda K270 using the links provided below.